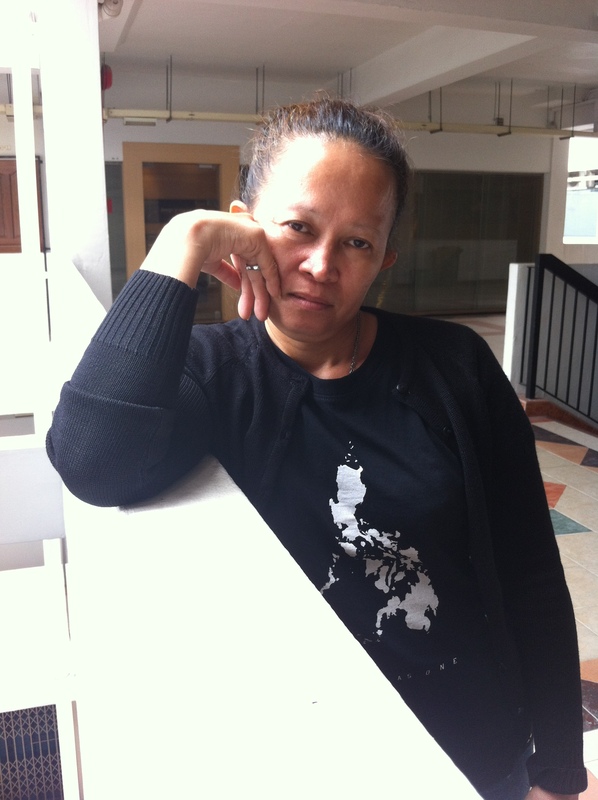 Maria Luisa, a domestic worker from the Philippines, stayed sixteen months at our HOME shelter waiting for MOM to help her recover two years’ worth of salary (she says it was about S$9,000) owed to her by her employer. As her employer has declared bankruptcy, she has been informed that she will be sent home to the Philippines – with nothing. A family friend from Maria Luisa’s hometown in the Philippines was married to a Singaporean, and ran a restaurant in Katong. She offered to hire Maria Luisa and bring her – and her son – over to Singapore. Maria Luisa trusted her friend, and arrived in Singapore in early 2009. For almost four years, she worked in the couple’s restaurant – delivering food, preparing sauces, and serving tables – for fifteen-hour shifts at time, seven days a week, for $400 a month. As her employers were friends of her family, Maria Luisa placed her trust in them and did not know that she should not be working in the restaurant. Her son remained in the Philippines; the promise to bring him over unfulfilled. Maria Luisa has not seen her son since she arrived in Singapore more than five years ago. Maria Luisa’s employers treated her well at first, buying her jewellery for her birthday and new clothes for Chinese New Year. But they stopped paying her salary sometime in 2011. She was told that there was no money to pay her. But Maria Luisa saw the restaurant still running, and other bills being paid. She repeatedly asked for money to send to her school-going son, but was always rebuffed – even on the happy occasion of her son’s graduation from elementary school. She couldn’t sleep, and often shed tears worrying that she had nothing to send back to her sister who was caring for her son and their parents. But she continued to work, hoping and trusting that her employers would be touched by her dedication. In March 2013, two years after her salary payments stopped, Maria Luisa finally filed a complaint with MOM. She was referred to the HOME shelter, and stayed there on a special pass during the on-going investigations. After sixteen long months, the long-awaited call from MOM came. Maria Luisa’s employer had declared bankruptcy. The MOM officer said it would be too difficult to demand the owed salary from them. MOM was closing the case, and sending her home within 10 days. Maria Luisa broke down. Maria Luisa’s employer has pleaded guilty to several charges of failing to pay her and for illegal deployment, and has been jailed for six weeks as a result. But this is cold comfort for Maria Luisa, who now returns to the Philippines with nothing to show for three years of lost time. While she is happy to finally see her son, it is a bittersweet reunion because of her inability to contribute to her family’s finances. Maria Luisa’s story was featured on the front page of The New Paper on Wednesday 23 July 2014.